Bento books are always great resources to learn about bento making for me. 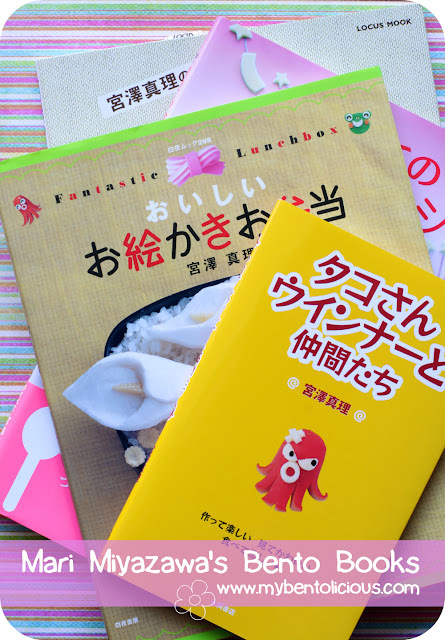 This time I wanna show you some of Mari Miyazawa's bento books that I 've collected so far to learn more about making cute bento / kyaraben bento. 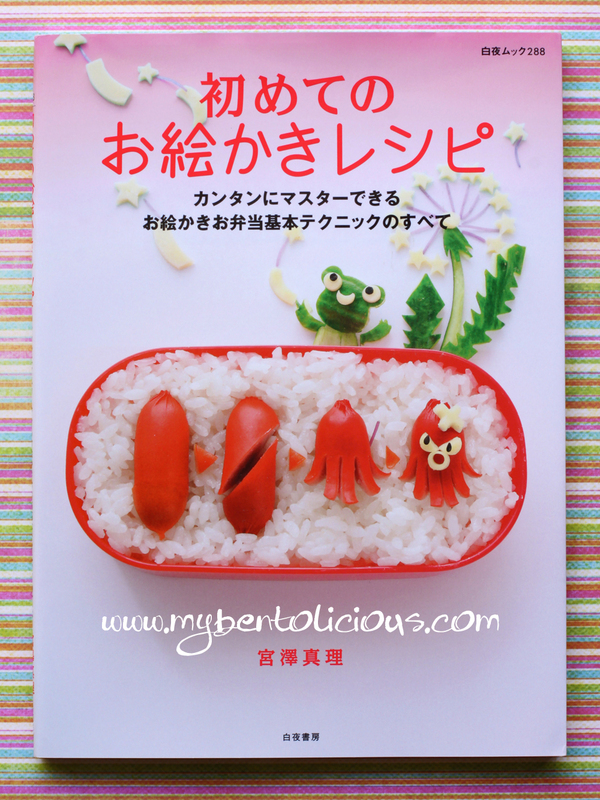 She is a very talented bento artist and her works are so inspiring, very creative. Even before I started my blog, I loved to check on her blog at E-Obento. You can check it too, and I am sure that you will love her amazing website. 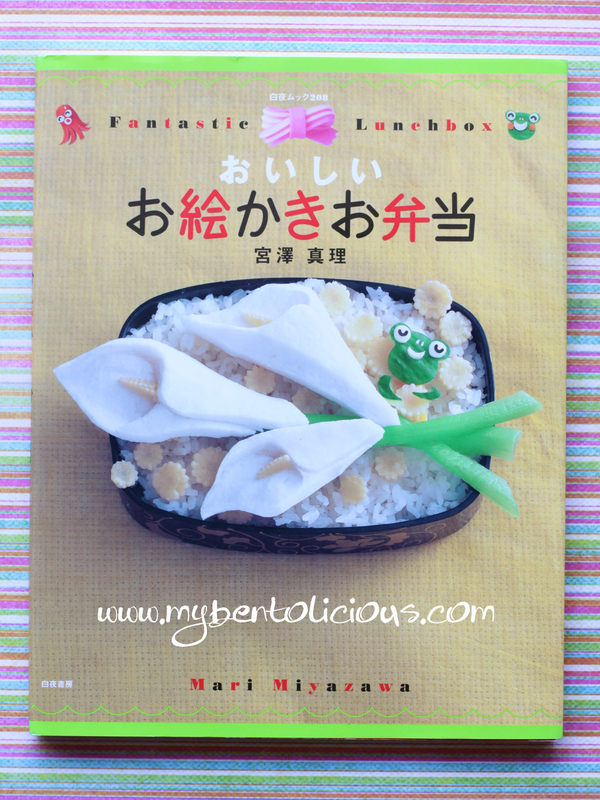 Some of my bentos, if you remember, Bentolicious #010 and Bentolicious #072 were actually inspired by her bento book. 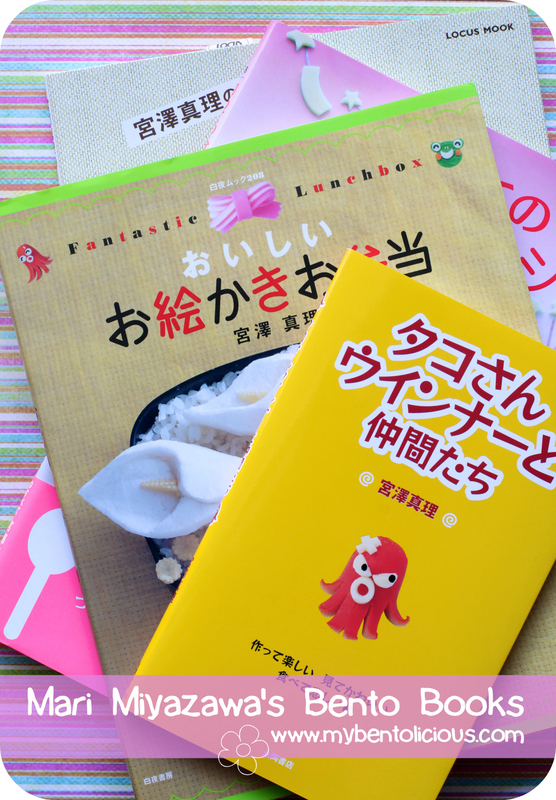 You can check all of her books at E-Obento, or you can also check it from Amazon Japan. Lia, E-Obento link doesn't work. I think the html code is incorrect. @Indonesia-Eats : Thanks a lot Pep to let me know. 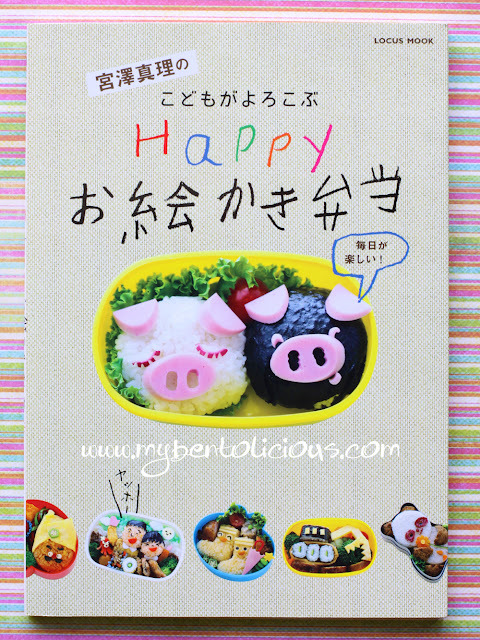 The link has been fixed, please try it again :) I agreed with you ... bento books are awesome! Huwaaaaaaaaaa...... telat berapa hari aja guwe dah ketinggalan kereta api bento ekspress nya Mbak Lia, huhuhuhu *larinya jgn kenceng2 bu masinis :D*. Maklum habis terkena serangan bertubi-tubi udara dingin kota Malang yang membuatku hanya bisa tepar di bawah selimut setiap sore setiap pulang kerja yang capeeek bgt krn hbs kerja keras banting daging *huahuehuehueheeeheee: lebaaaayyy.com --> itulah tata :D*. Mbak Lia, mbak Lia... *kepala sambil geleng2* koleksi bento apa sih yang kagak punya??? Jadi berhasrat tingkat akut untuk ngehak rumah dikau yang baru hihihihi. Btw, horeeeee besok ada yang ultah... Gak sabaaaar liat surpresnya :D.
Wow! Everytime you share your bento gear collections, they alway amaze me! Oh dear, I feel so much wanted to get one of the copies! @Kids Dream Work : Thanks Ai Ping! 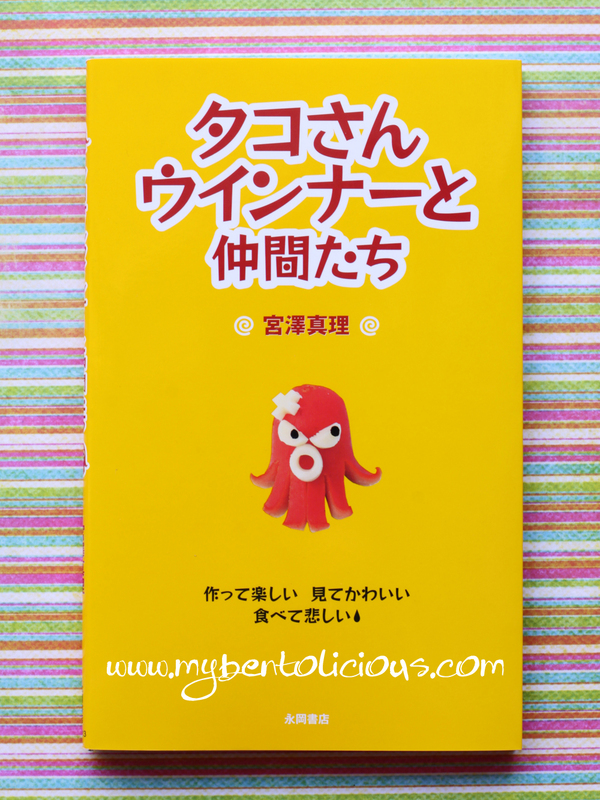 You can order it online from Amazon if you can't find it there :) Have fun! i love her website, i bet the books are fab too! thanks for sharing this info lia!